Children with autistic spectrum disorders (ASD) often have sensory processing difficulties. They may be very sensitive to particular sounds or materials, or unresponsive to injuries most children would find painful. 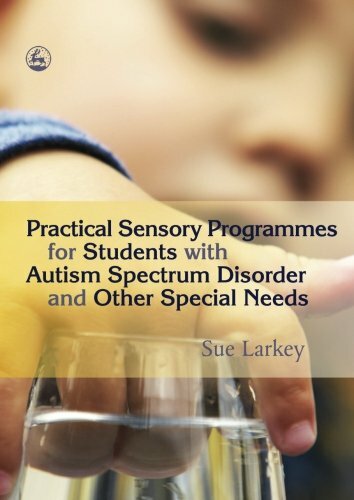 Book offers a six-step approach to developing a successful programme to help children cope with sensory input they find overwhelming, and to identify activities they may find relaxing or rewarding. Has more than 30 activities using touch, sound, taste, vision and movement, and gives advice on how to use these activities as opportunities to improve children's communication skills. Provides detailed photocopiable checklists to assess children's sensory reactions, sleep patterns, sense of movement and use of eye contact. Reproducible pages.